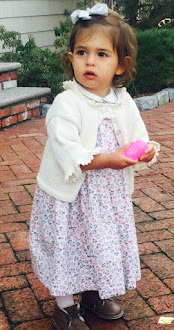 Check out my free patterns here. Knitnscribble just made this felted bag with two strands of spicy red 100% wool DK yarn purchased from Elann.com for about $24.00 (8 skeins total) and lined it with fabric remnants from pillows made for our patio this year. 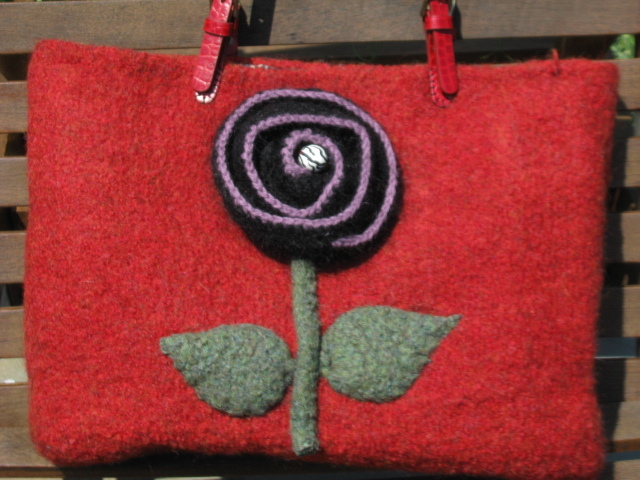 All the bags I make are fairly large purses as I am tall and carry my knitting everywhere. This one will even carry a laptop easily. 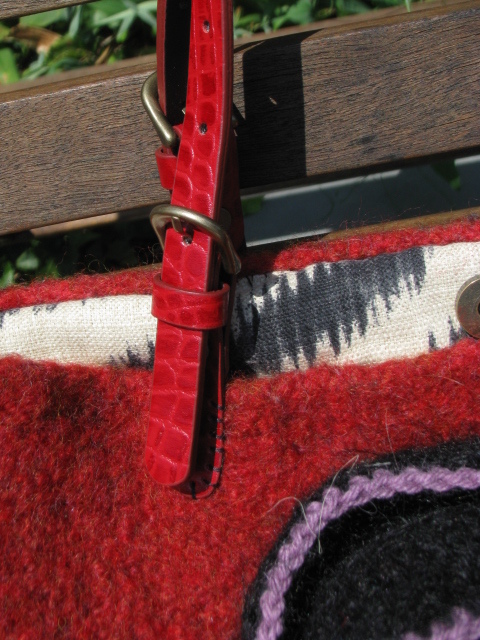 The hobo satchel measures about 18" by 12" with a gusset of about 6 inches. 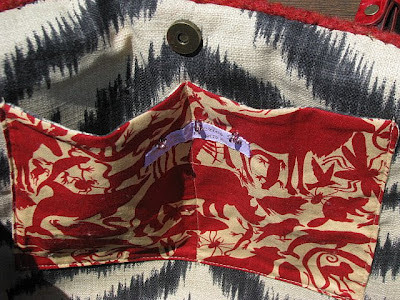 The inside pocket fabric was a souvenir fat quarter sample my daughter brought home from Purl Soho in New York. The red leather straps for this large satchel were purchased on Etsy for $17.00. 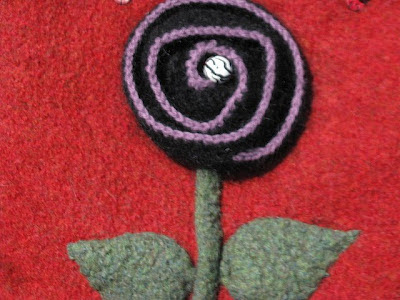 And the funky flower embellishment is a stylized version of Berroco's free pattern for the Peruvia Rose, with a painted zebra wooden bead from our other daughter's Reba Belle Beads. The stem is a 5 stitch i-cord felted. No lie, these bags do take hours of labor, but are worth every minute of your time. 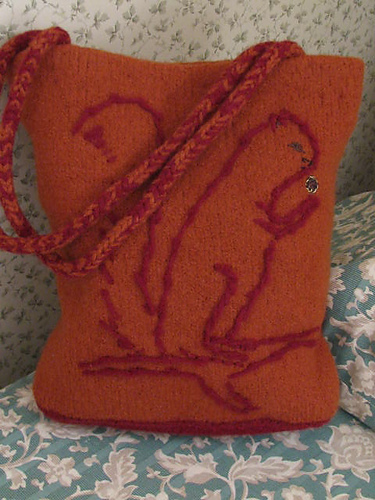 The pattern for this bag, I forgot to write down as I was knitting it with size 13 needles, but I do have other patterns previously posted on the Internet you might like. See below. 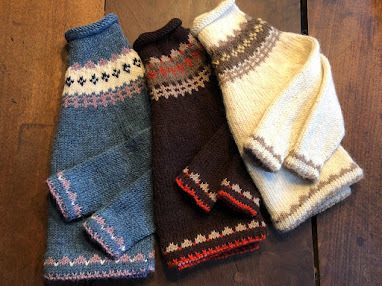 And here are some free patterns from Straw.com to knit and crochet. 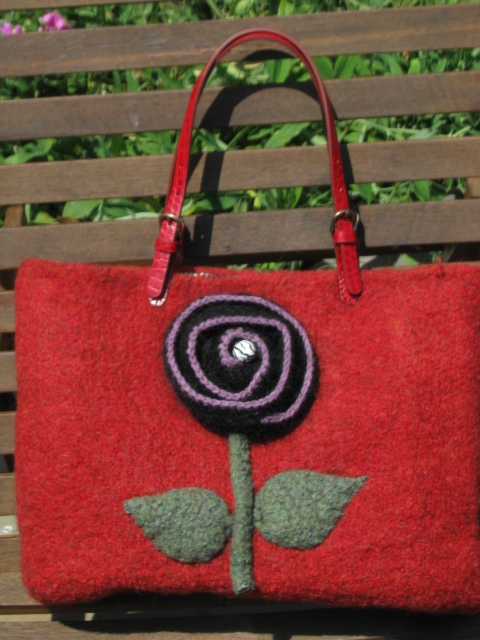 Check out this great crochet market bag pattern from Lion Brand. Big, bold knitting and crochet highlights fall fashion runways!